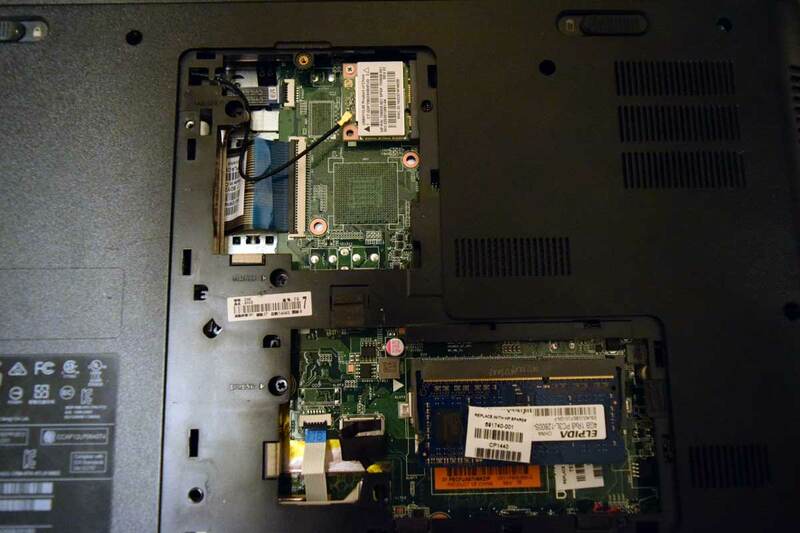 Last summer, I began wondering why my two-year old HP 15-d035dx laptop was frequently overheating. I couldn’t hear the fan running, which was my initial clue that something was going wrong… or was it? My HP had been running a little slower than normal, and I assumed there was either a CPU problem or the hard drive was going. Unfortunately, I was right; the problem was confirmed when a Windows dialog box popped up informing me that my hard drive had reached its threshold of bad sectors. So I ordered a new hard drive, cloning the old one to the new one using Clonezilla, a freeware program that gets the job done and has excellent online instructions. I couldn’t do a sector-by-sector copy, as I had upgraded my storage from 750GB to 1TB. Towards the end of the clone, the disk copied very slowly… so slowly in fact that I eventually had to unplug the drive and pray I didn’t do any long-term damage. My fear was that the source drive would be unreadable and a full copy hadn’t been made. Luckily, all the files had transferred beautifully and my operating system was fully functional. I’m going to assume that sectors that didn’t want to clone were a part of the problem and that Windows must have marked them as unusable, thereby saving me the grief of missing or corrupted files. The only remaining issue is that Windows could only see 750GB of storage, even though the drive’s capacity was 1TB. This could not be fixed through Windows Disk Management. Normally, one can adjust the partition size and formatting. This was not the case. This was easily remedied, however, by using AOMEI Partition Assistant to effectively change the partition size to the drive’s capacity. My laptop was still overheating. On my honeymoon, it frequently froze and the audio buzzed during Netflix playback. By now, I was certain the problem was its core temperature. CrystalDiskInfo confirmed this. My laptop was routinely running at 47°C or hotter. I figured there was no saving it, and finally invested in a desktop to handle all of my graphic-intensive applications. I came back several months later, determined to fix the problem. I uninstalled AVG–my virus protection, and that seemed to speed up the system tremendously. One day, I finally decided to take the plunge and gut the laptop. Now, if you’ve never taken it upon yourself to pull apart an HP laptop, let me tell you–it’s not very fun. Where most brands give access to key components from the bottom, HP makes you take the keyboard off after unscrewing everything from the bottom. I removed my motherboard to discover that there was no fan inside. There was a piece of metal screwed into where the fan should be! I was quite surprised at this, and it explained so much of the problems I was experiencing. It turns out, this model was one of their “fan-less” incarnations. Another issue I encountered after fixing the sound was that the WiFi would cut in and out. I ran two command lines: ping and tracert. It was only symptomatic to my laptop and not any of my other devices in the house. This is where the WiFi card gets interesting. There are two spots on the card to connect the wire back. One of them is the correct one. The other allows the computer and Device Manager to know that it’s connected and working, but doesn’t truly let it work on the default configurations. To solve this one, I popped the back off the computer and set to work. In the top of the picture, you’ll see a square with a label. There’s a black cord going from the card. There are two arrows that point to the connector: you will need to connect the wire to the black arrow, not the white arrow. Problem solved.